How do I turn the radio off? The lease on my Touareg has ended so I have just bought a A4 Allroad 3.0TDi. As soon as I put the key in the radio comes on. Is there a way to disable this? I have driven many other Audis and they all seem to do this by default. 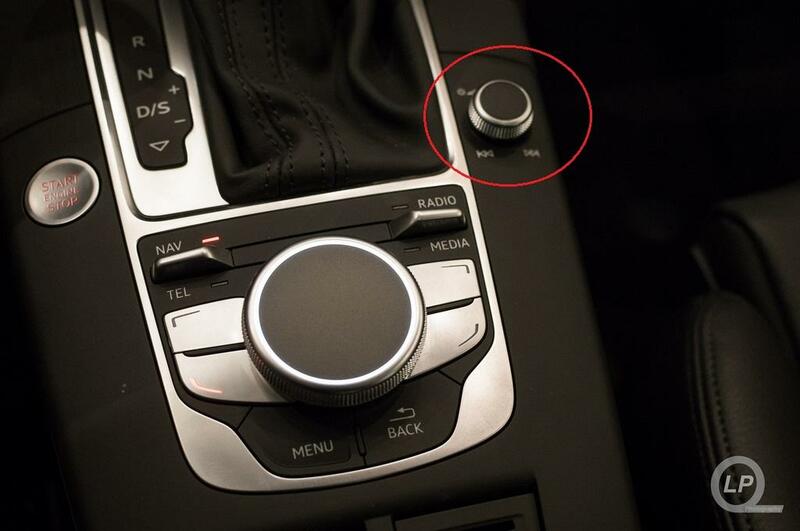 To turn off the radio you have to press down the volume button. Thanks for that. To rephrase my question: can I stop the radio coming on in the first place? Ah, apologies for getting the wrong end of the stick. I don't believe you can stop the radio from coming on. You press and hold that button in. It puts the MMI system into sleep mode rather than off. But it's permanent sleep mode until you switch the MMI back on again. It'll still be in sleep mode next time you switch on your ignition. Click it like a mouse click mutes it. Press and hold switches it off. You get Audi MMI on your display screen. I also found out yesterday, that although the radio is off, your Bluetooth phone still hooks up. A mate phoned me, I was surprised when it rang out through the speakers and I could chat through the Bluetooth. The phone MMI screen opened up BTW. As soon as the call ended, the system reverted to presumably sleep mode rather than off. Thank you Simon P. All sorted now.